#11-10 Vintage bridge holders for antique pool tables. Usually used in sets of two to hold the bridge or "rake" when not in use. Attaches to the bottom of the pool table cabinet to keep the bridge within reach when needed. 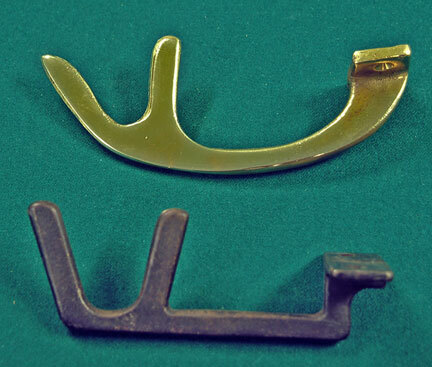 Available in antique iron (bottom) or in bright brass (top).